2 We know how to cut it. 4 Your hole is our goal. 5 We'll nail your next project, because nobody wants a screw up! 6 Building your dream house shouldn't be a nightmare! 7 We dig strong foundations. 9 The rest put the con in contractor! 10 Don't get framed by the competition, trust our solid reputation. 11 We dig construction projects! 12 Our reputation is the proof, we're the best for your siding and roof. 13 Have the assurance in knowing, we'll get your project going. 14 The rest don't measure up to us. 16 We get on top of every roofing project. 17 Where the others fall short, we measure up. 18 A solid project will be found, when you have our crew around. 19 Our reputation is built on solid ground. 20 Roofing, Siding, Windows and doors, we do all that and much more. 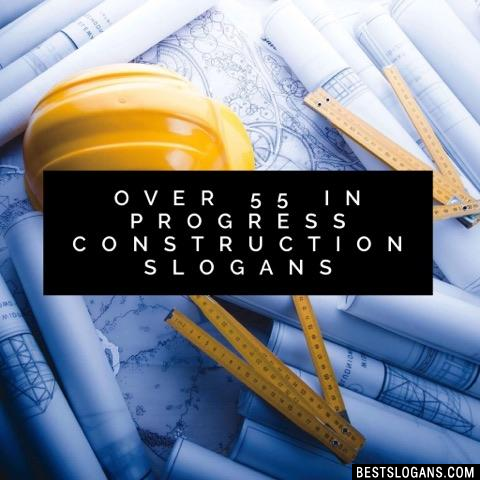 Can you think of a good Construction Slogans we're missing? Or come up with a clever one of your own. Please share below.